Pick a pumpkin! If you're in the suburbs and have access to a pumpkin patch, I envy you! Take me with you next year?? If you're in the city like me, they sell them at farmers' markets like the one in Union Square. Or, you can buy one at the grocery store like I did! Get your tools! 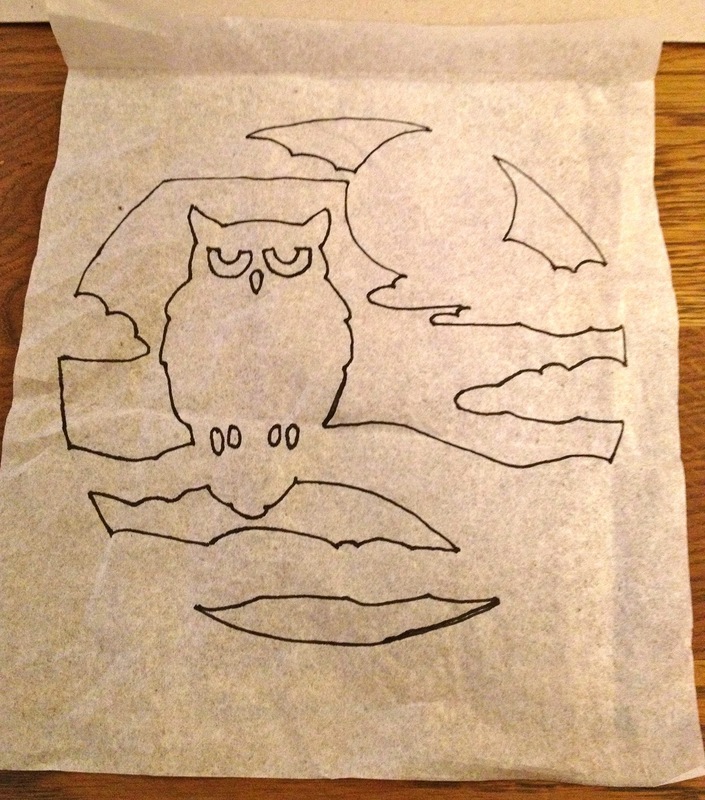 They sell basic carving tool sets in Duane Reade, CVS, etc., for ~$5 and most of them even come with patterns too. I've been using these cheapie sets for years and they work pretty well. Pick a pattern! I'll admit I'm an oddball and am the only person I know who spends this much time thinking about what to do with my pumpkin every year. I spend hours poring over designs, and even still - last year I wound up drawing my own because I didn't find one I liked! Yes... crazy. You can also find tons of patterns online if you want more options than the ones that come in your tool kit. 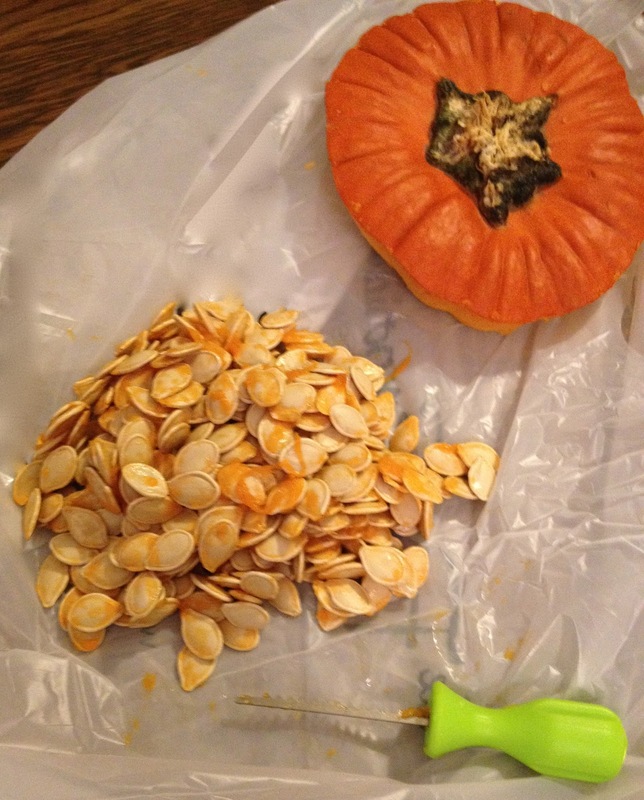 We all know step 1 from our younger years - cut the top and scoop out the seeds! Make sure you save those seeds to roast later but more on that in Wednesday's post, check back! Scrape out the gunk inside. 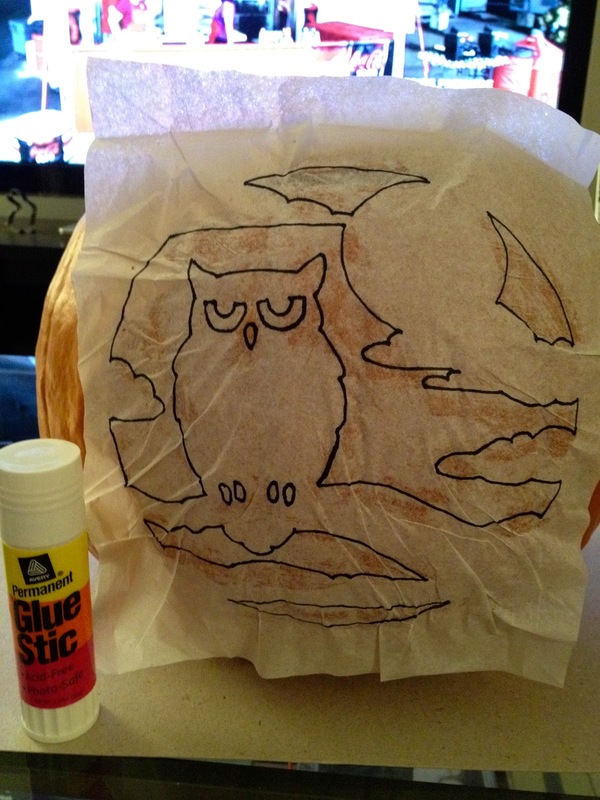 If you're carving a pretty detailed pattern, it's a good idea to scrape a little more and thin out your pumpkin until it's about 3/4" thick. (The thicker it is, the harder it is to cut a detailed pattern, but any thinner and the pumpkin will shrivel up very quickly within a day or two). 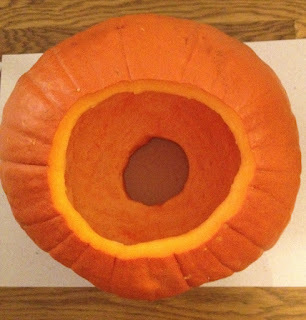 I also like to cut a hole out of the bottom, because this is the area that is likely to rot first. It also makes putting a candle in very easy! 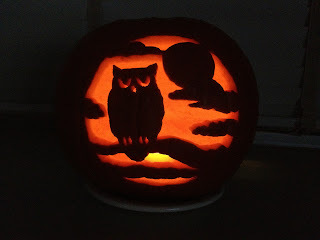 My pumpkin ready to go! Hole on top, smaller hole on the bottom for the candle, and all clean inside. 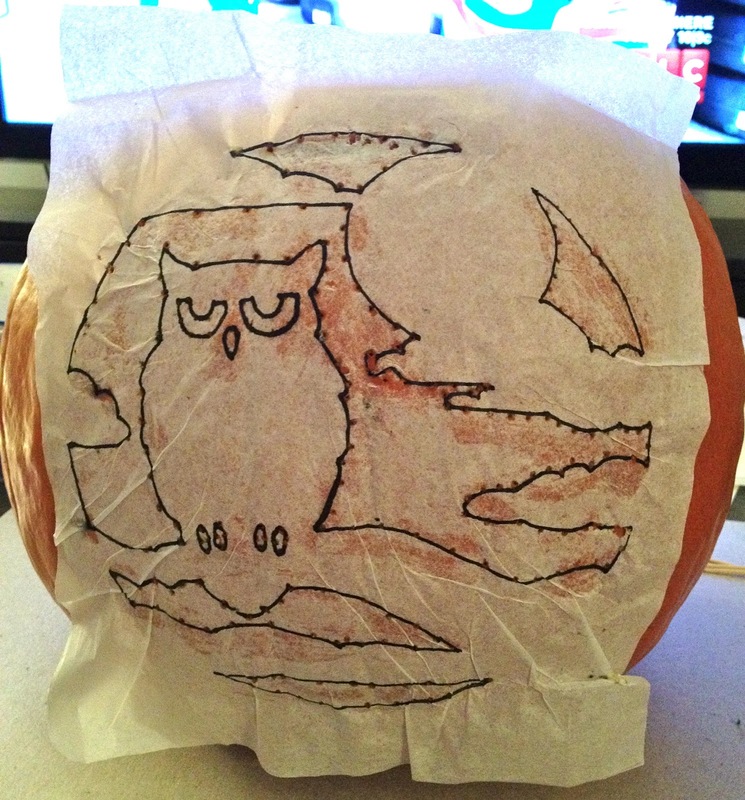 Once you pick a pattern, the next step is transferring it onto the pumpkin. 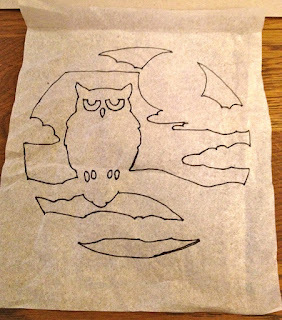 You can either draw a pattern free-hand directly onto the pumpkin with a permanent marker, or trace the pattern onto parchment or tissue paper. 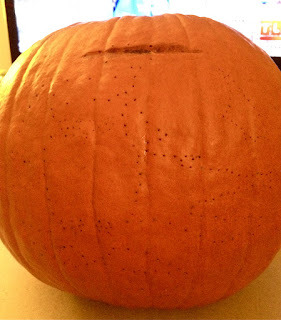 Take a toothpick and following your pattern, make little holes in the surface of your pumpkin to guide where to cut later. Remove the pattern, and if there's leftover glue just wipe it off with a damp towel. Now it's time to use your carving tools! Follow the holes you marked and cut away!